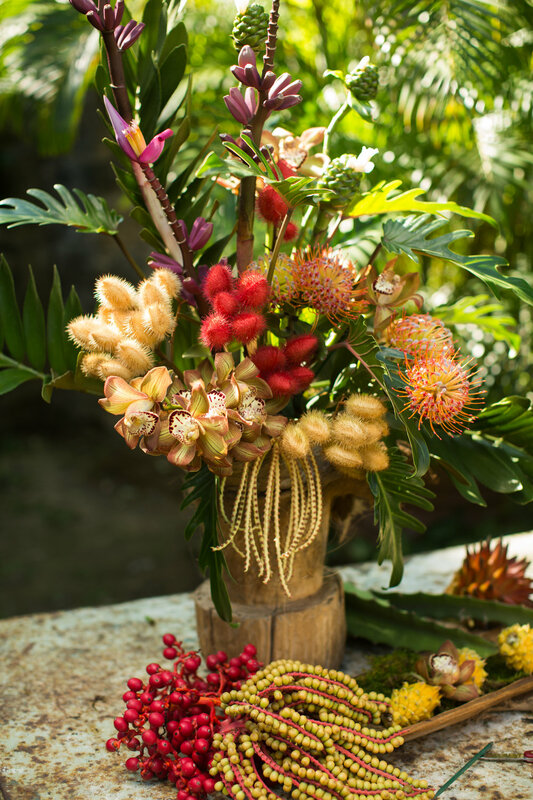 My inspiration for this design came from the natural beauty of Hawaiian flora. 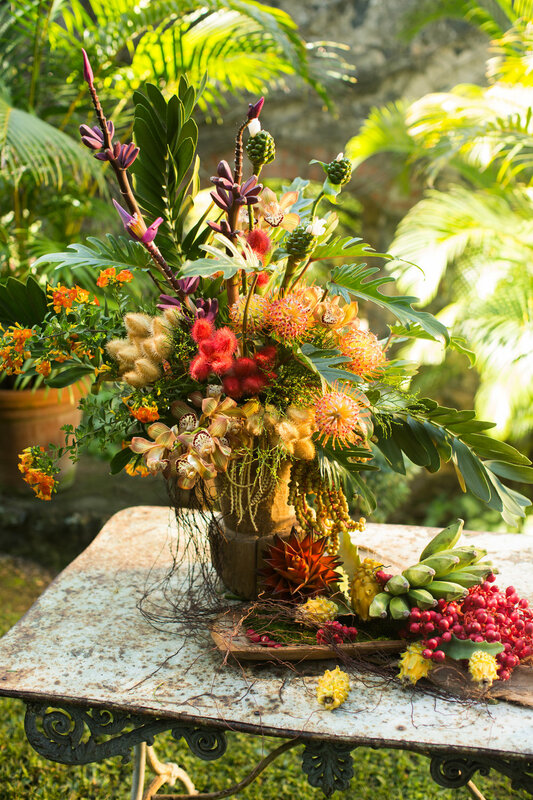 Even the container I chose has a simple wooden shape and texture reminding me of a pahu (ancient Hawaiian word for drum). 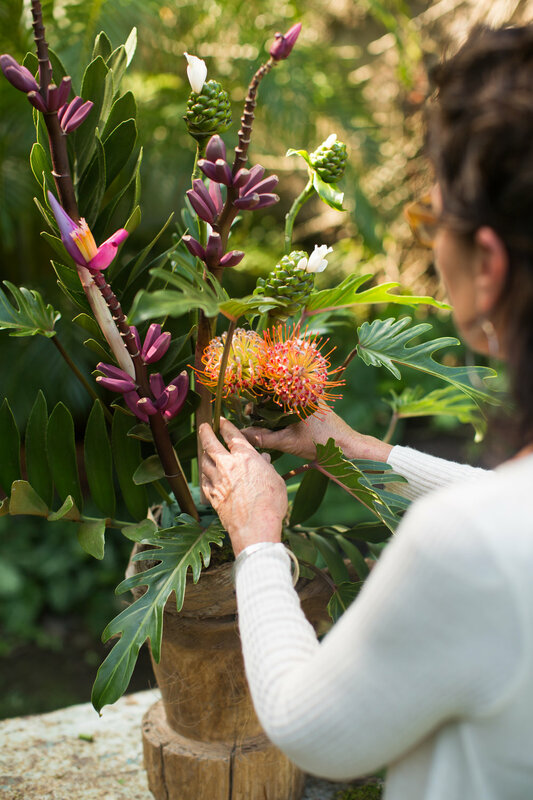 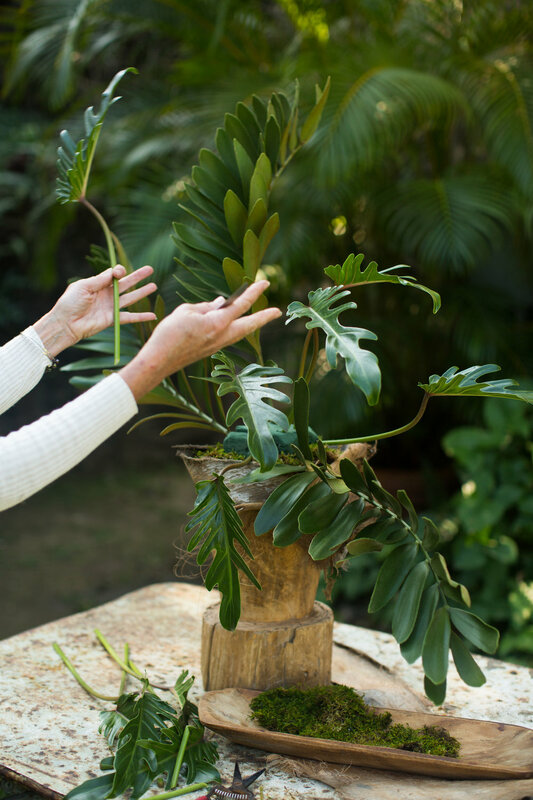 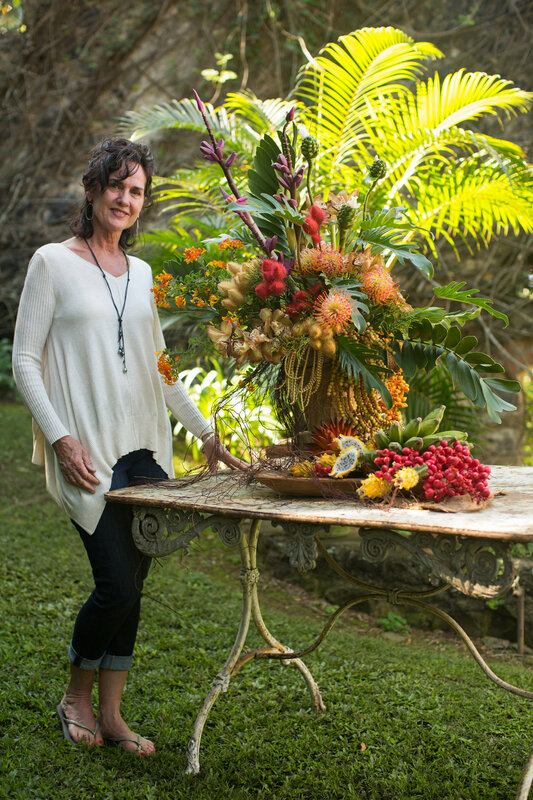 Living in upcountry Maui is like living in a garden, and I create arrangements to look like they’re growing in nature. 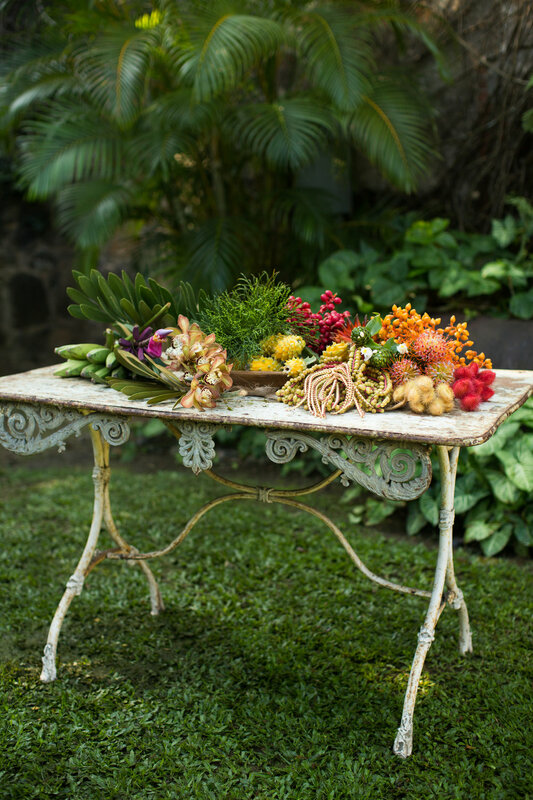 When gathering these materials, I took notice of the lines and curves of each one so that I could later replicate them in the centerpiece. 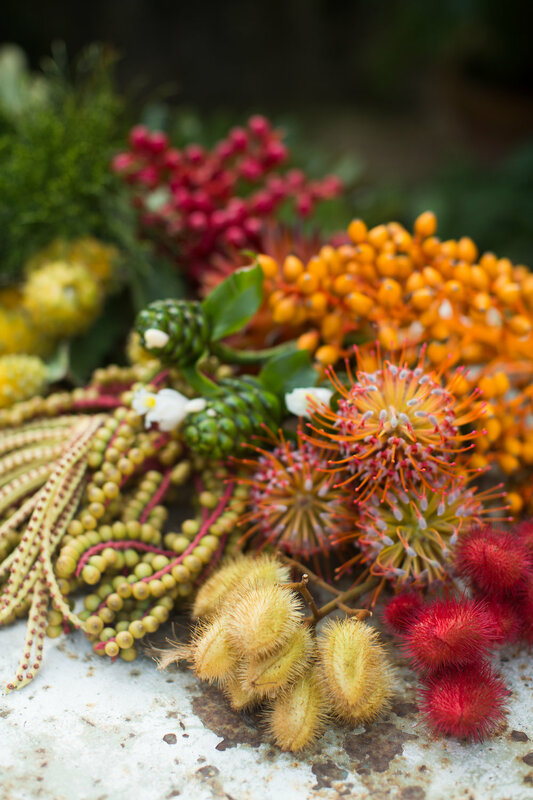 Though Maui’s an obvious place for tropical, exotic flora, you may start to see similar shapes and colors in the fruit, flowers, and plants you find along the road or in your local grocery stores.